The 2018 Arizona Fall League wrapped up play in mid-November with the Peoria Javelinas winning their second consecutive AFL title – in dramatic fashion – on a walk-off home run in the 10th inning of the championship game by Atlanta Braves prospect Braxton Davidson for a 3-2 victory over Salt River. The game-winner was the second such walk-off in Arizona Fall League history, serving as the perfect backdrop and cap to a Fall season that saw quite a few Baseball Factory alums contribute across the board. MLB.com’s Jim Callis recently reported on the Top 25 Arizona Fall League prospects, in what was truly an exciting 2018 Arizona Fall League. Here’s the ranking of each former Baseball Factory athlete and the positives they showed with their Arizona teams and overall in 2018. Whitley has an electric fastball, one that consistently topped in the mid 90’s out in Arizona as the right-hander made six starts, pitching to a 2.42 ERA in 26 innings. 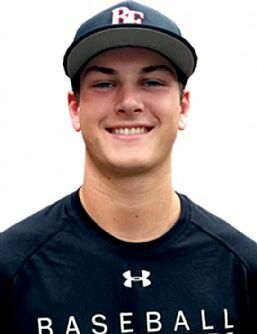 Whitley showed that same fastball prowess while on the mound during the 2015 Under Armour All-America Game and plans to factor heavily into what the Astros will do in 2019 and beyond. Hiura has shown the ability to hit at each level he’s played, coming out of college as one of the more polished hitters in the game. The Brewers have something special here, as Keston took AFL MVP honors, leading the league in hits (31), RBI (33) and total bases (54). He also collected six doubles, a triple and five homers, hitting .323 in 23 games. Keston performed in the 2012 and 2013 Under Armour SoCal Classic. 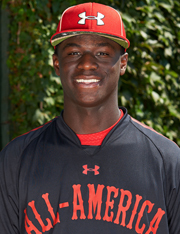 The exciting OF prospect and 2015 Under Armour All-American hit .298 with four doubles, two triples and scored 10 runs in 22 games. He made an impact on the bases, stealing six for the Scorpions. Taylor hit .277 with 19 doubles, four triples, eight homers and stole 25 bases for High-A Daytona in 2018. Kieboom launched 16 homers between High-A Potomac and Double-A Harrisburg during the 2018 season, but more impressively, showed a patient eye during the AFL with Salt River, walking 17 times in 21 games. Carter hit .295, scored 18 runs and drove in five for the Rafters. In 2015, Kieboom participated in the Under Armour All-America Pre-Season Tournament and was an Under Armour All-American the same year. Fox followed up a solid 2018 regular season with an impressive Fall season where he hit .326 with two doubles, a home run and 11 RBI. He also walked 16 times and stole seven bases. 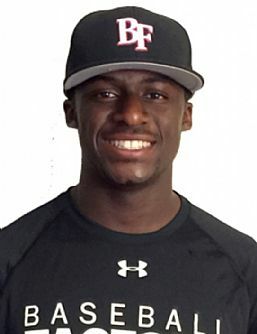 Lucius performed in an Under Armour Baseball Factory National Tryout in Delray Beach, FL back in 2012 and Baseball Factory’s Team One Florida in 2014. The Mets first baseman of the future led the minors with 36 homers in 2018, hitting six more in the AFL (tied for tops). His 27 RBI were second-best (behind Hiura) and he also scored 16 runs in 27 games. 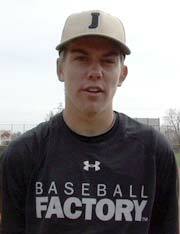 Alonso attended an Under Armour Baseball Factory College PREP event in Tampa, FL as well as the Arizona Freshman/Sophomore Fall Classic in 2010. In 2011, he played in the Team One South Showcase. 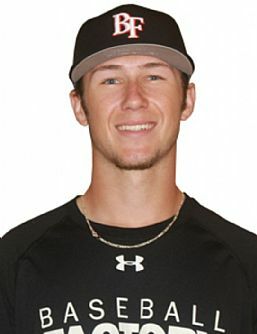 Bukauskas pitched to a 3.33 ERA and struck out 24 in 24 1/3 innings pitched in the Fall for Scottsdale. J.B. saw time at five different stops in 2018, making 14 starts with a 2.14 ERA and 71 strikeouts in 59 innings pitched. 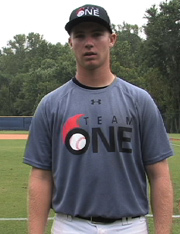 Bukauskas performed at an Under Armour Baseball Factory National Tryout in Manassas, VA and Baseball Factory’s Team One South Showcase in 2013. Cameron put together a huge Fall League season, hitting .342 with three doubles, two triples, a home run, five RBI and nine stolen bases. 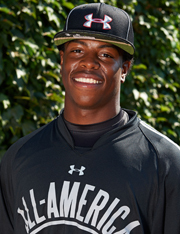 In 2012, Daz participated in the Team One Futures Series East event and is a two-time Under Armour All-American (2013 & 2014). Harrison hit .290 and was second on Salt River’s squad with 16 RBI. He added two doubles and a triple and scored 11 runs. Monte is a 2013 Under Armour All-America alum. Congratulations to all of our Factory alums on a successful 2018 season, building on what will hopefully be a successful 2019 season! All of these athletes paved their way to the next level, by first attending a Baseball Factory event. You can be next to be discovered and improve your skill set! Your first step to greatness is by attending an Under Armour Baseball Factory National Tryout! Click the link here to find an event near you!